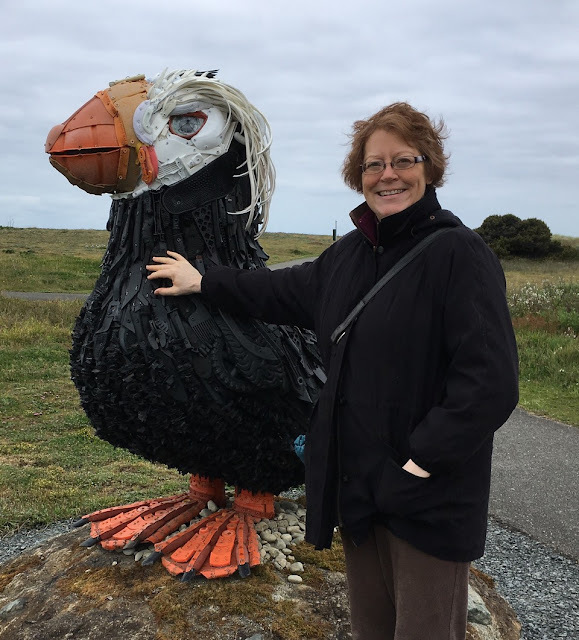 WashedAshore.org founder Angela Haseltine Pozzi with her tufted puffin creation. Portland, Ore., native Angela Haseltine Pozzi has always believed in “art for all,” spearheading public art projects, community art and artist-in-residency programs wherever she went. But following the untimely death of her husband to a brain tumor in 2002, she needed to heal.